The auto industry is all about the rush, action, and competition. It’s also full of pressure to be the best and prove it to potential customers. In such a highly competitive industry, auto dealerships are faced with the challenge of standing out in the marketing game. That’s where Facebook comes in. From unique targeting capabilities to creative ad format options, Facebook is the best social media platform for local auto dealerships who want optimal reach. It offers unique ways to reach both existing customers and new ones who live nearby. That being said, not everyone knows how to market well on Facebook. That’s where I come in. I may not be a professional car salesman, but I do know a thing or two about Facebook advertising. In this article, I give you my top tips for local auto dealers who want to advertise on Facebook. By the time you finish reading, you’ll be ready to get into gear and stand out above the others. Here is my top Facebook ad advice for local auto dealers. Video is the best way to tell a story and get customers excited about your vehicle. But most Facebook users watch video on their mobile devices, so your video needs to be convenient to watch; otherwise, customers aren’t going to waste their time on it. That’s why you want to make your video in vertical format, as opposed to horizontal format. Video that’s formatted horizontally requires users to rotate their mobile devices in order to view the video in fullscreen. Vertical video, on the other hand, eliminates that extra step, so users get the best viewing experience. You want to make the best use of the vertical space to captivate your audience. You can do this by breaking up the video into sections from top to bottom. For example, you can do a split screen, with one video playing above a different one below, each playing simultaneously. Or you can have informative text on the top half of the screen and the footage of the vehicle on the bottom half. You can also keep it simple yet thrilling, filling the screen with the vehicle you’re promoting in action. The goal is to be creative and innovative, to wow your viewers. An auto dealership has more than one vehicle model to sell. Rather than creating a separate ad for each model, use Facebook’s Carousel format to showcase the variety of cars you have in stock. This ad format is both convenient and sophisticated, giving your selection a professional look with high-quality images while also allowing potential buyers to easily browse what’s available. To use the Carousel format effectively, feature high-quality images or video that attract your audience. Professional lighting and high resolution are essential in achieving this standard; anything less diminishes trust in your dealership’s overall quality. 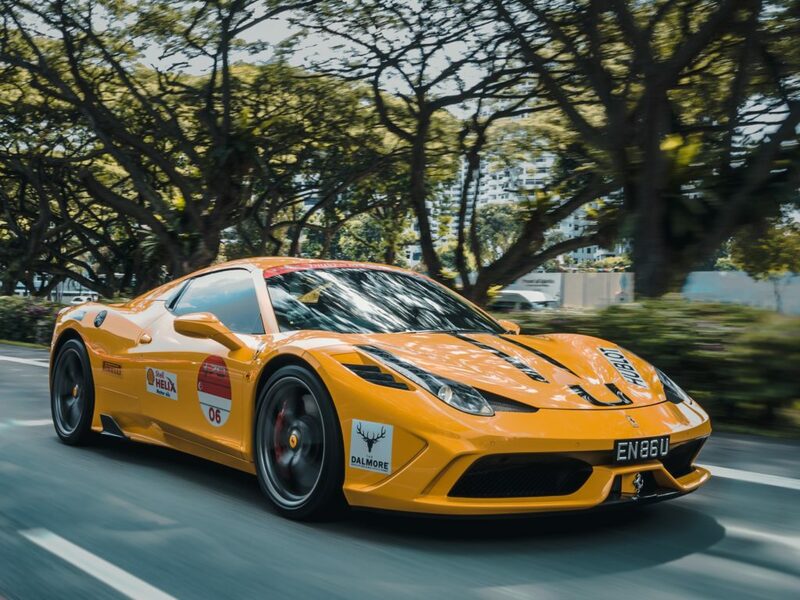 The images should primarily feature the vehicles you are promoting to avoid ambiguity and to also drive more interest in buying. When your audience sees your Carousel ad, they should know what to expect when they click it to learn more. 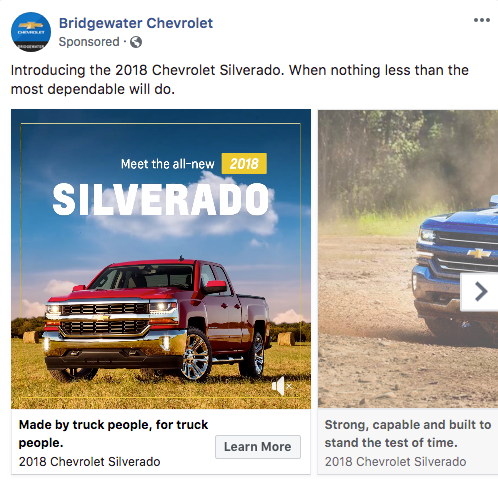 Bridgewater Chevrolet uses a combination of photos and video in this Carousel ad for the 2018 Silverado. There are several good elements in this ad. The images are crisp and professional, showcasing one of its trucks in a location that matches the vehicle and showcasing the others in a variety of angles to give more information about the trucks. The text above and below, next to the Learn More call-to-action, tells you exactly what’s in the image. This ad is an excellent example of how dealerships can use the Carousel format. Customers don’t like to travel far for their auto buying needs, so auto dealerships rely on customers who live nearby. 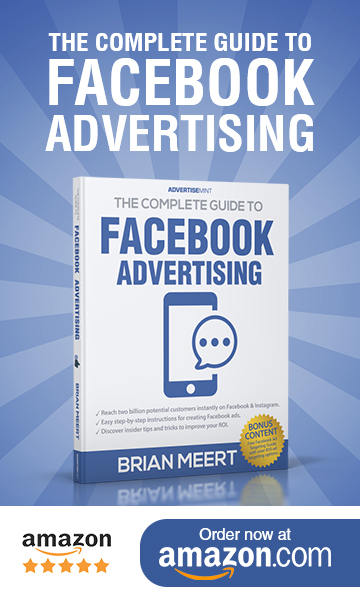 Therefore, your Facebook ad should target those customers; otherwise, users who don’t live nearby, who are unlikely to buy from your dealership, will see your ad and not convert, which does nothing for your return on investment. Luckily, Facebook allows you to target local customers with location targeting. 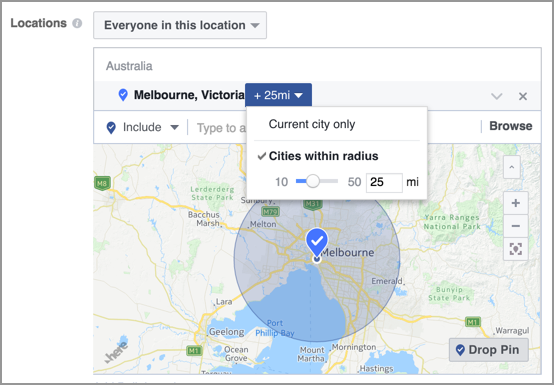 When creating your Facebook ad and specifying your audience, you can indicate the location you want to target. Below is an example of what that might look like. Location targeting makes it easy to deliver your ads to nearby customers who are shopping around, attracting them to your dealership. When they see how close you are, they’ll be sure to express interest in what you have to offer. Whether through online or offline sign-ups or contact forms, you’ve likely generated a list of leads that have already expressed interest in your dealership. Capitalize on those leads by creating a Custom Audience. 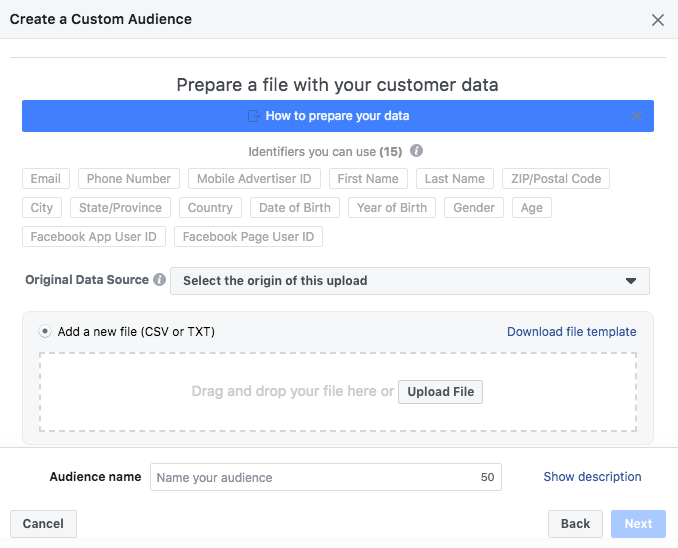 A Custom Audience allows you to upload an existing list of leads to target when creating your Facebook ad. It helps you deliver relevant ads about your dealership to users who know who you are, who are more likely to buy. 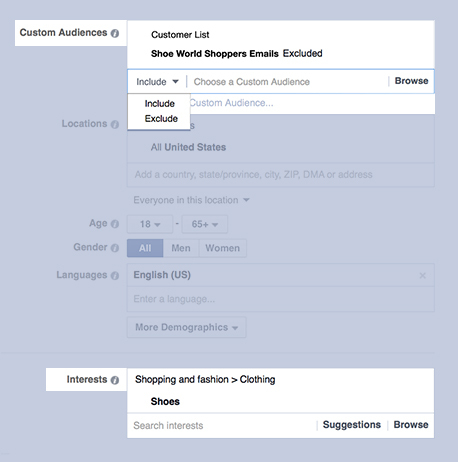 Below is what it looks like when you’re creating a Custom Audience for your Facebook ad. Custom Audiences are a great way to generate conversions for your dealership because they’re made with leads you’ve already collected. When those users see your Facebook ad, they’ll easily recognize your dealership and, hopefully, convert. Custom Audiences are well and good for reaching existing leads, but what about reaching new ones? That’s what Lookalike Audiences are for. Lookalike Audiences resemble the traits of your Custom Audience, except they include only users who have never interacted with your business before. This lets you expand your targeting and bring in more sales. Below is what it looks like when you create a Lookalike Audience based on a previously uploaded Custom Audience. Lookalike Audiences make the venture for new customers less daunting because they target users who look very similar to people who have already shown interest in your dealership. This handy feature makes acquiring new customers less of a shot in the dark. If someone clicks your Facebook ad once, the chances are higher that they’d do it again, especially when they’re shopping around for a new vehicle. The auto buying process is often a long one and requires a lot of visiting and revisiting a variety of dealerships. Make it easy for them to revisit your dealership by retargeting users who clicked your Facebook ad. 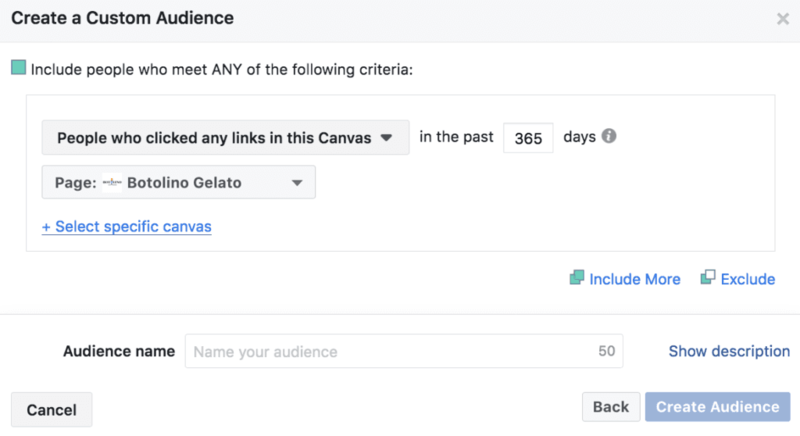 You can use Facebook’s Custom Audience feature to retarget users who have previously clicked on your ad, specifying which criteria to target by, as in the example below. By retargeting users who have previously clicked your Facebook ad, you’re reminding them throughout their auto buying journey that they’ve already looked at you once, so why not give you another look? There’s nothing more annoying than getting ads from a dealership you just bought a vehicle from. When a customer has converted and bought from your dealership or signed up to learn more about your vehicles by clicking on your ad, you don’t want to pester them with more ads. Otherwise, you risk losing their loyalty and may even drive them to a different dealership the next time they want to buy. To avoid this scenario, when specifying your target audience for your Facebook ad, make sure to exclude users who have already converted. To do this, simply create a Custom Audience based on users who have already converted, then select “Exclude” for that audience in your targeting settings, such as in the example below. By excluding users who have already converted, you help the dealership-customer relationship stay strong. Facebook advertising is just as competitive as the auto industry, so combining the two is a unique challenge. But local dealerships have the advantage of highlighting their location as the best reason to buy from them. 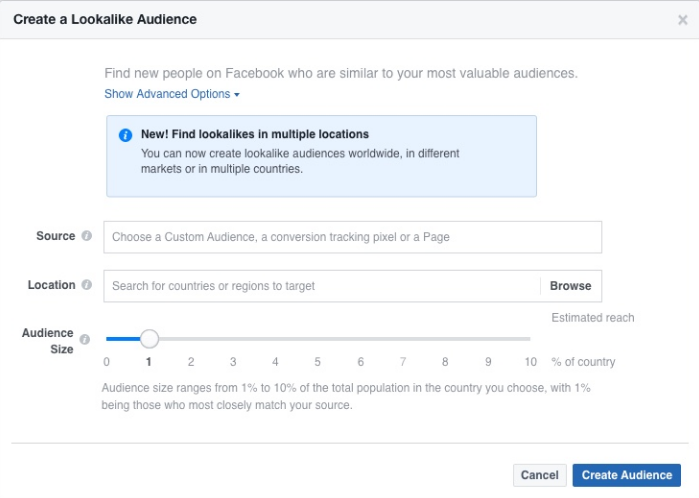 That only works, however, if you know how to use Facebook’s tools to deliver your ads to customers based on location and target only customers who live nearby. I hope you will use the advice in this article as a guide for your dealership’s Facebook marketing strategy. The truck is now in your garage. Put your dealership on the map and start using Facebook advertising to help rack up those sales!